Shipping: Will need truckin arranged. 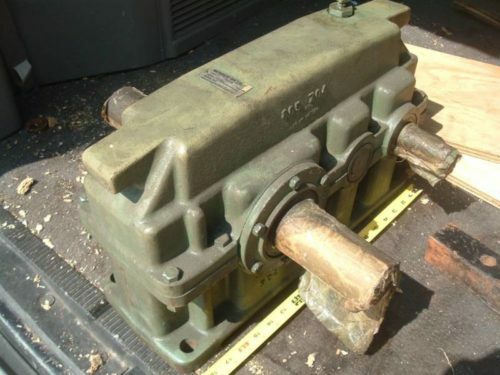 Swap With: I need a connecting arm and a three groove pulley (or many)- may be considered in sale. They need to be in decent condition but not new. I have numerous NEW gear boxes in two sizes. I think that equate to size 10 and 16 in the oil pumping business. These are French manufactured by Leroy Somer (a large global manufacturer- look them up). Vintage is ~1990s. 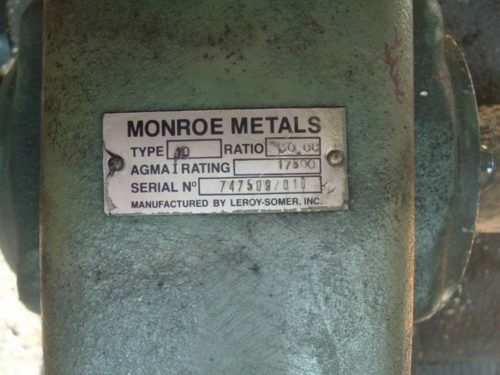 These gear boxes are AGMA 1 rated. I will get technical data from the manufacturer and more pictures in the next week. I will attach if can to this add, or email me and I will send in out. The small bumps are around 200 pounds, and the large ones 400 to 500. All stock is located in Michigan. I am willing to deal on sales of multiple units; $450 each for two, $400 each for four, $350 each in pallet quantities, and $300 each for entire lot. At these prices, you can purchase two or three for ‘parts’ units if there is a concern, but these are quality American/ European design and manufacture and should operate for decades.